The Olukai Nohea Lole is fun, textural, and truly an OluKai original. 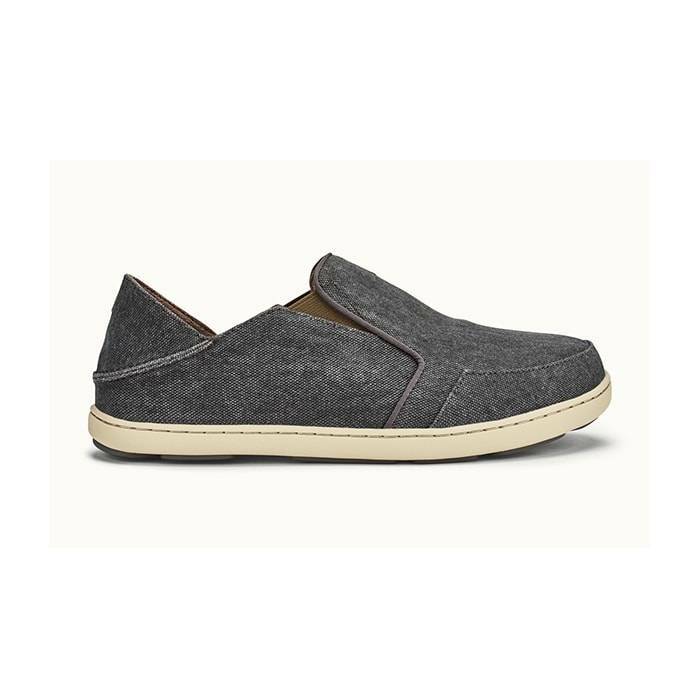 The OluKai Men’s Nohea Lole Charcoal-Caper is a versatile style which offers OluKai’s Drop­-In Heel® which lets you wear it as both a shoe and a slide. This style is designed to create the perfect environment for your foot. With this in mind, OluKai has crafted their footbeds to be easily removable and washable. Also, a dual-density PU anatomical microfiber footbed gives you support, cushioning and is resilient. Lastly, a non-marking rubber outsole with Polynesian inspired artwork design and a leather patch with embossed logo finishes off the Pehuea. Due to the nature of the fit, Olukai recommends ordering a half size down.